War sounds absolutely ghastly, in truth. All that shooting, being shot at, dying, running in slow motion whilst screaming for reasons you don’t truly understand whilst immensely wealthy individuals push soldiers across maps, swirl brandy and shake their heads at the pointlessness of it all. It is the sort of thing that if it didn’t already exist there is absolutely no way human beings would choose to invent it, on account of how utterly preposterous and nonsensical it is. Kinda like marriage, I guess. Thousands of women served in World War I as nurses and in other support roles, whilst the only nation to deploy female combat troops in any substantial number was Russia as part of their infamous ‘we don’t care who you are as long as you have a pulse and can die’ approach to army-building. One female stood tall over all others however, but she wasn’t a part of the Russian Army. 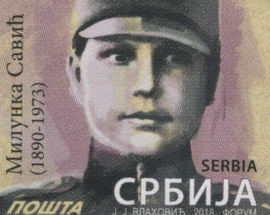 No, Milunka Savić was a Serbian soldier, and she is thought to be the most decorated female combatant in the history of warfare. 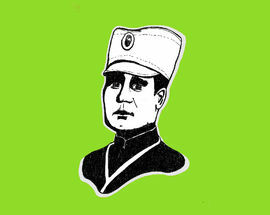 Serbia’s very own Hua Mulan was born in the town of Koprivnica, near Novi Pazar, sometime in the late 19th century. In 1912 Milunka Savić was also living there, but it was her brother who received his call-up papers for mobilisation for the inherently-pessimistically named First Balkan War. Milunka Savić decided she wanted a bit of this war lark, so she lopped her hair off and donned her brother’s clothes and headed off to the front. She was quickly thrown into combat, and it wasn’t long before she received her first medal. It was on her 10th mission that her gender was finally revealed. She had been wounded before, but up until this point she had always avoided being hit in the chest. Bulgarian shrapnel put paid to this, and Milunka was taken to the field doctor. The doctor was rather surprised to find breasts, and Milunka was rumbled. She was sent to her superior, fully expecting to receive her marching orders and yes you can consider that an attempt at a military pun if you so desire. Her commanding officer wasn’t entirely enthralled with the idea of punishing her, as she’d proven to be such a valuable and competent soldier. Those weren’t exactly in great supply back in the day. Milunka was offered a transfer to the nursing division, a transfer she refused by stating that she wanted to take a rifle and continue to fight for her country. The commanding officer may or may not have taken a heady sigh at this point, before telling Milunka he will think about it and give her an answer the next day. Legend tells us that she merely stood at attention and told him that she would wait, standing in that position for an entire hour before the CO told her to bugger off back to her camp and get back to fighting the enemy. 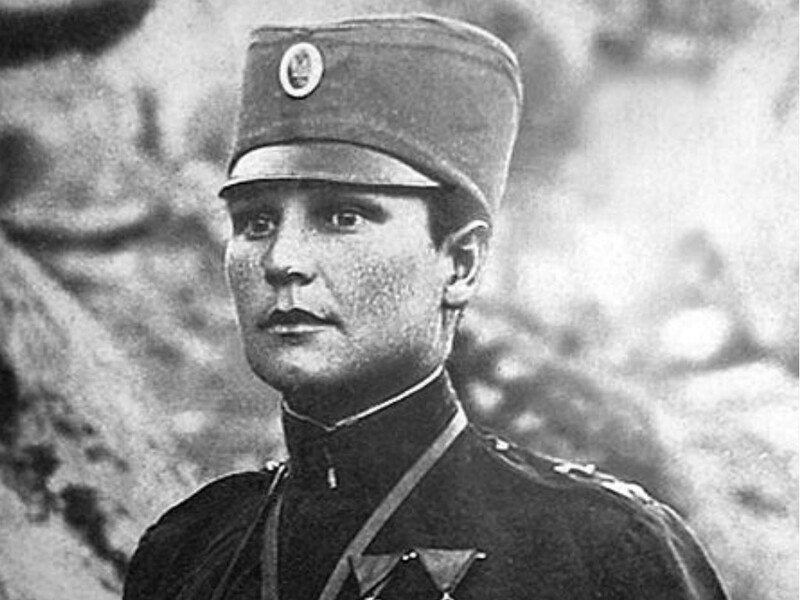 Milunka fought in many key battles throughout the various armed-skirmishes of the Serbs over the next few years, including both Balkan Wars and the first edition of the World War. She became known for her outstanding gut feeling and exquisite timing, often knowing just the right moment at which to launch an attack. She was also a dab hand at taking enemy positions and combatants, best proved when she single-handedly captured 23 extremely confused Bulgarian soldiers. That remarkable feat happened during the Battle of the Crna bend in late 1916, as Serbian, French and Russian soldiers engaged in a two-month slog against Bulgaria and Germany on the Macedonian Front. The battle ended with a tactical victory for the Entente, which is a nice way of saying they gained a few yards and lost a load of soldiers. When the fighting ceased in 1918 Milunka Savić was one of the lucky few to have survived it all, and she received a whole host of medals for her troubles. She was the sole female recipient of the French Croix de Guerre, as well as being awarded the Legion d’Honneur by the same nation. Britain bestowed upon her the Medal of the Most Distinguished Order of St. Michael, Russia went with the Cross of St. George, and from Serbia came the Miloš Obilić medal. 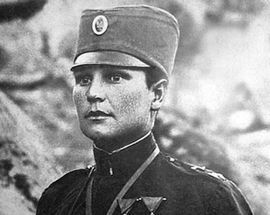 Savić was lavished with medals, so many that she is believed to be the most decorated female in the history of warfare, as mentioned at the end of paragraph two. What happened to her when the fighting was over? Well, France offered her a cosy retirement and generous pension, but she rejected that offer in favour of staying in her beloved Serbia. 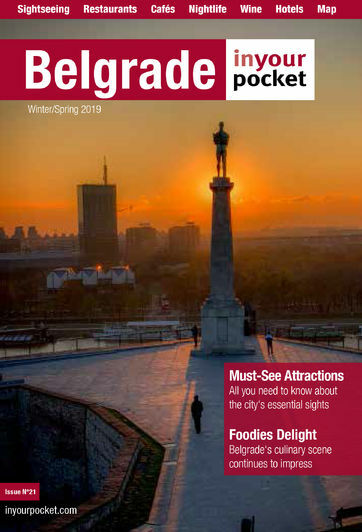 She moved to the part of Belgrade called Voždovac, and believe you me there wasn’t some fancy stadium on top of a shopping centre in Voždovac back then. She fell in love with a banker by the name of Veljko Gligorević, but the two divorced immediately after the birth of their daughter, Milena. Milunka adopted three other children orphaned by the war, as well as helping many others through school. Despite her history and philanthropy, Savić was largely forgotten through the interwar period, working a variety of menial jobs and generally just getting by. World War II soon came around, and whilst Milunka wasn’t able to pick up arms this time she did organise an infirmary to give aid to the Partisans (Yugoslav Communists) and Četniks (Serbian Royalists). This earned her a savage beating and 10 months in Banjica concentration camp, but she survived once more. Milunka was given a state pension following the war but was forgotten once again. Milunka Savić continued to live in Voždovac until 1972, when after being noticed at a celebration with her vast array of military medals the state intervened and gave her a much less Voždovac-esque apartment. One year later she suffered a stroke and died, to be buried in Belgrade. It was a sadly underwhelming end for a woman whose life had been defined by combat, but you could also argue that such a ‘normal’ death is almost rewarding in those circumstances. 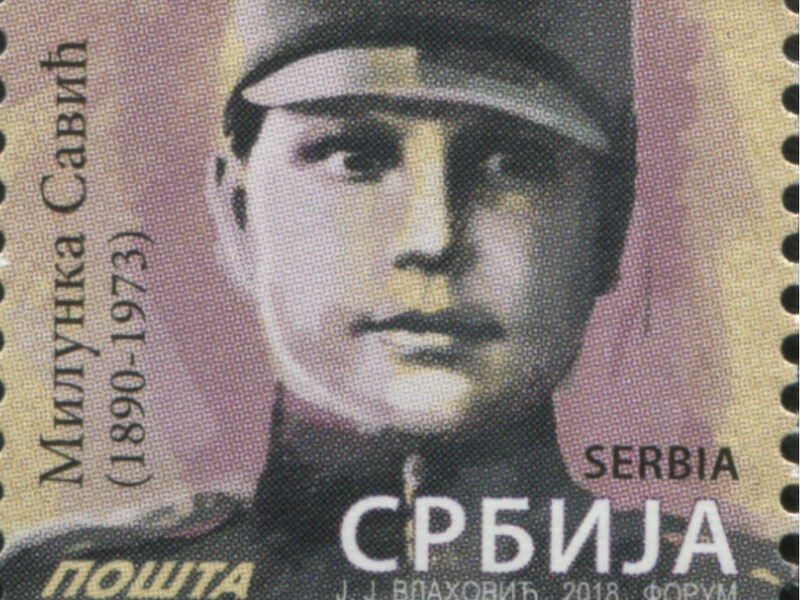 Milunka Savić took a grenade to what was expected of women in the military in a time when the phrase ‘women in the military’ wasn’t a phrase anyone was saying. She turned up and got on with the job of serving her country through some of her country’s most trying times and did it in style.